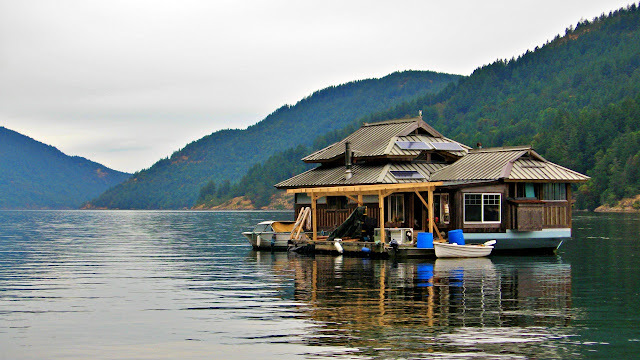 In the middle of Burgoyne Bay off Salt Spring Island on the east coast of the larger Vancouver Island sits this float home. I can't imagine living this kind of lifestyle. Initially, it might see romantic or adventurous. Then I think of all the conveniences and comforts that I would have to do without and I realize that it's not for me.